When the check engine light comes on people get nervous. Often times it is a warning to correct a problem that is just getting started—before it gets bad. That is why it is so important to get your vehicle into Federal Way Automotive & Radiator for a check engine light repair near Milton, WA as soon as you see the light come on. If you wait and worry, you may end up with a larger repair to worry about. 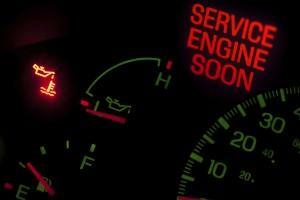 A check engine light repair may be as simple as correcting a faulty sensor. There are any number of concerns it could be indicating, so getting it in before anything has a chance to get worse is paramount. It is also important to bring your vehicle into an auto repair shop that has up-to-date equipment and technology to accurately read the codes from the check engine light, also known as a dashboard light. Our ASE certified technicians and state-of-the-art check engine light diagnostic tools are the right combination to getting to the heart of your car’s issue. We have over three decades of experience serving the Milton area. As part of your local community, we care about you and your safety. We want to see you safely on the roads in a car that lasts as long as possible. That is why we grantee our service and and parts. Our hand-picked employees only do work that we all can stand behind. Check engine lights can be as simple as one single dashboard light that lights up for almost any type of problem, such as is common in older vehicles. 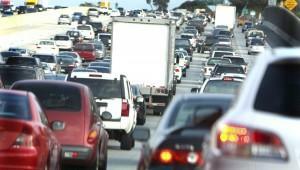 Or, your car may have several lights that point toward a specific system that is experiencing difficulty. 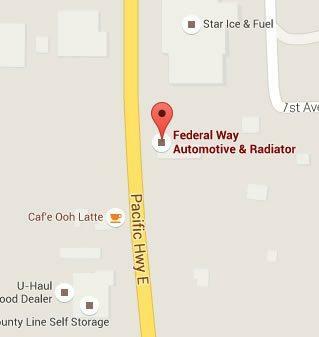 In either of these cases, Federal Way Automotive & Radiator has the skills and technology to diagnose and correct the problem. We work on any make and model of vehicle, including fleet vehicles. No matter the age of your car, we can handle the check engine light repair. After we complete an inspection of your vehicle, we will discuss with you what we have found. We go over the details as much or as little as you like. We offer up-front, affordable pricing and wait for your approval before moving forward with any check engine light repairs. If you notice a check engine light come on, we encourage you not to delay. Bring your vehicle in as soon as you can. Letting a small problem go for a long period of time can result in a larger, much more costly repair down the road. Your car is a big investment. Keep it running at its best with a check engine light repair near Milton, WA. We enjoy serving the people of Milton, Washington. Milton is an amazing town. It is full of vibrant taverns and pubs as well as events like the annual Milton Days. Visitors and residents alike have much to enjoy about this wonderful town.